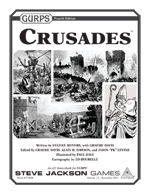 For information on two of the world's greatest cities central to the Crusades, book passage to GURPS Hot Spots: Constantinople, 527-1204 A.D. and GURPS Hot Spots: Renaissance Venice. GURPS Low-Tech contains information on weapons, armor, and technology used during this era. For a fantasy setting where the struggle between the Western and Middle Eastern worlds have not yet ended, check out GURPS Banestorm. 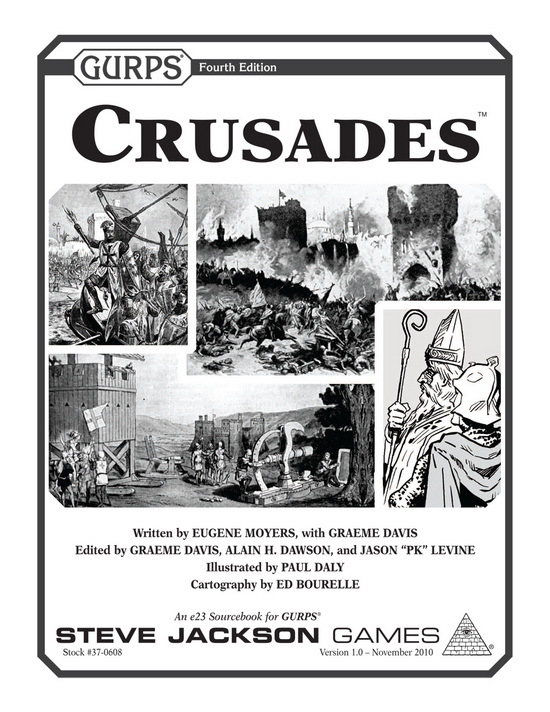 Learn about the Knights Templar of fact, fiction, and conspiracy theory – including GURPS Boardroom and Curia stats – from author Graeme Davis in the pages of Pyramid #3/86: Organizations.